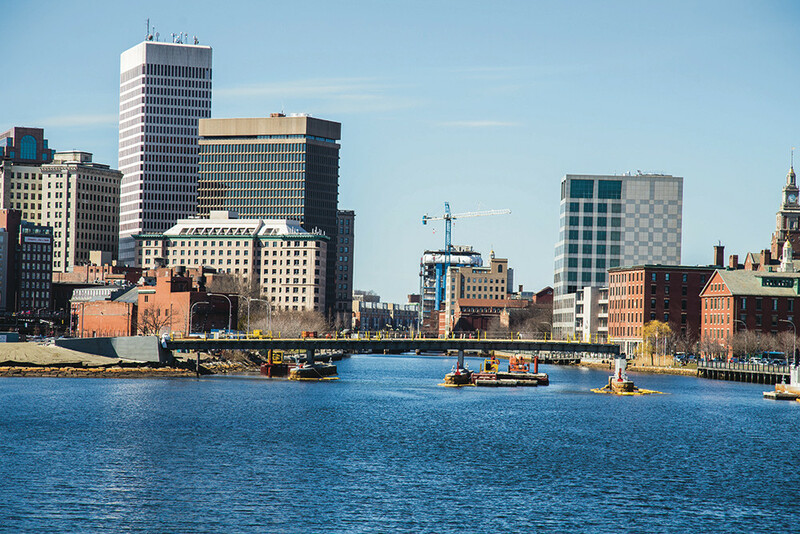 It's been a long, painstaking road to bring such a vision to life, but many public and private entities are determined to make Providence's very own innovation district a reality – and we are finally seeing some long-awaited, tangible results. More importantly, we’re seeing an important neighborhood that is coming into its own, with an influx of residents coming in to take advantage of the area’s growing potential. The Jewelry District has always had a name, but now it’s getting a new identity, one as unique as the West Side’s, College Hill’s, or Downcity’s. And both the commission and the JDA are eager to bring them here: “Delivering an environment where they can live, work, and play is a critical demand of the Millennials who will make up the lion's share of the workforce,” Steele says. Several residential housing developers are getting in on the ground floor of the new district. The 95 Lofts, a six-story residential complex at 95 Chestnut Street owned by Waldorf Capitol Management Investors, was an early arrival to the party. They made the most of the 114-year-old former Irons & Russell pin and charm manufacturing building's historic accents when designing the conversion, keeping its ornate birdcage elevator, wooden beams, maple floors, and exposed brick walls while making it completely green, even down to the air filter system. 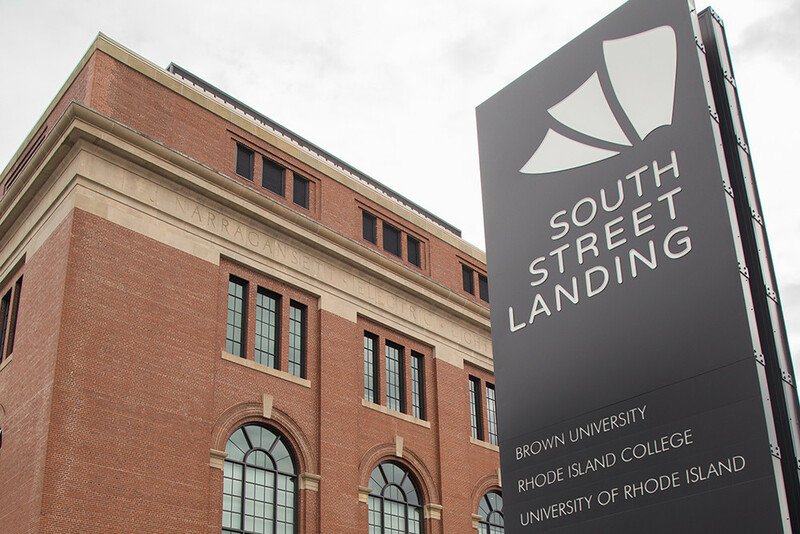 By fall 2017, all 59 units were rented out to a mix of Brown medical students, RISD and Johnson & Wales graduates, young professionals, and a few families. Many have already renewed their leases, according to property manager Kristen Viveiros of Acropolis Management Services, who feels that the neighborhood is already becoming much more resident-friendly. “It's nice to see people walking around the streets, and it's definitely nice to see it growing,” says Viveiros. She cites South Street restaurant and bar The District as a popular go-to spot for residents. PPAC is right around the corner, universities are within walking distance, and amazing restaurants are nearby. “It's still up and coming in this area, and I think everyone's excited for that,” she adds. Another residential projects in the pipeline is 44 Hospital Street, which will feature commercial use on the first floor and residences above. A parcel adjacent to 95 Chestnut Street hasn't broken ground yet, but is expected to have about 90 units. Overall, Steele estimates roughly 1,000 new units are in development between the Jewelry District and Downtown. Of course the Jewelry District is not actually a blank slate. Restaurants like CAV and Olga's Cup & Saucer, watering holes like Art Bar and Nick-a-Nees, and organizations like the Providence Animal Rescue League have been thriving there for years and form a constellation of welcoming neighborhood go-tos for newcomers as foundations are poured for new businesses. Another mainstay is the Providence Children's Museum (PCM), which relocated to South Street from its original Pawtucket location more than two decades ago thanks to the affordability and space offerings of the 17,645 square-foot, 100-plus-year-old former jewelry factory. For nearly 40 years, PCM maintained a strict “no digital technology” policy for its little patrons, instead using colorful displays involving water, simple physics, history, art, nature, and more. This stance evolved under the leadership of Caroline Payson, who joined as Executive Director two years ago. “We're a crucial part of the process,” Payson says. “We really embrace being in this kind of innovation technology corridor,” and that having programming focused on the cultivating the early roots of technological development “makes us an even better fit.” Payson is excited about the vision of families strolling across a pedestrian bridge from downtown to visit the museum. It’s all moving forward. Cranes are hard at work erecting scaffolding. New shoots of growth are sprouting up all over, and it's all coming together thanks to the many collaborations and partnerships forged between the private and public sectors, industry and academia, national and local businesses and governments, arts and technology, and employing the skills, creativity, and engagement of individuals of all ages and backgrounds. 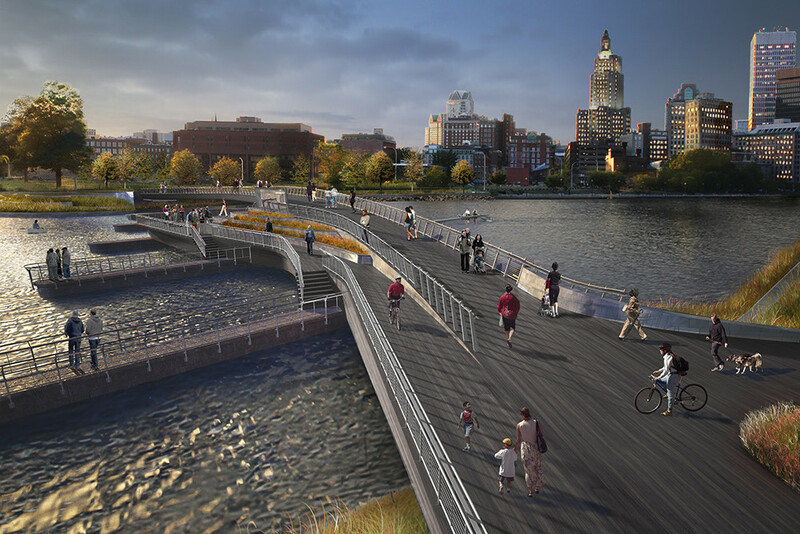 Through this careful, deliberate approach, a literal and metaphorical bridge is being built not just to connect city districts, but to leadProvidence from its historic past into a leadership role in technologically-optimized design.